Wiener schnitzel is quite easy to prepare, provided you are organized and set up an assembly line-type prep station beforehand. Traditionally, wiener schnitzel was made with scallopine-type veal medallions. However, today it is frequently made with boneless pork. I tend to prefer pork because it's less expensive than veal and most veal nowadays is bland and tasteless, anyway. 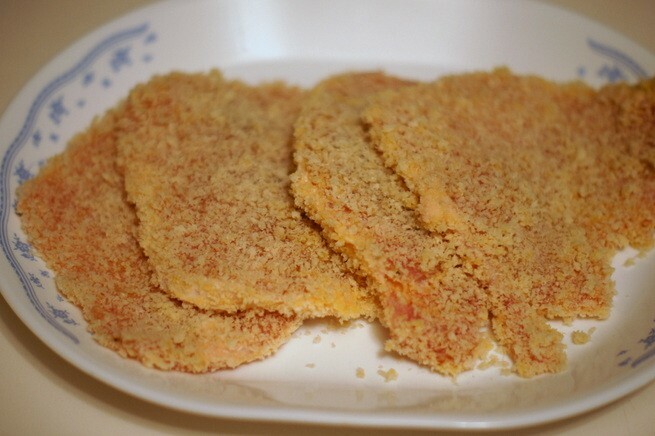 You could also use this same technique and recipe to make chicken or turkey schnitzel, using boneless chicken or turkey. First, unless you already have very thin pieces of veal or pork, you'll need to pound the meat to about 1/8 inch thickness. 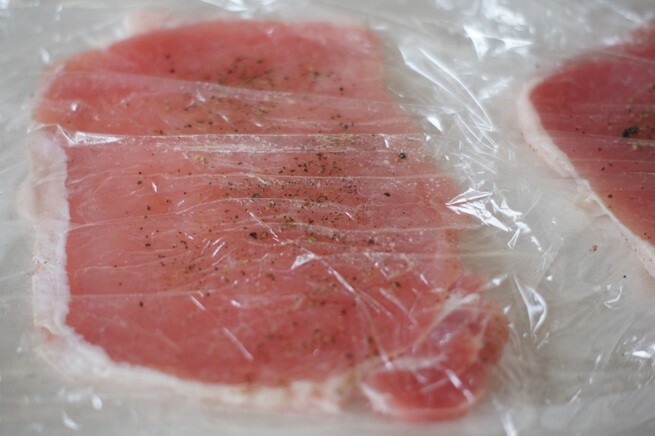 Place the meat pieces on a layer of plastic wrap. Season the meat with salt and pepper, to taste. 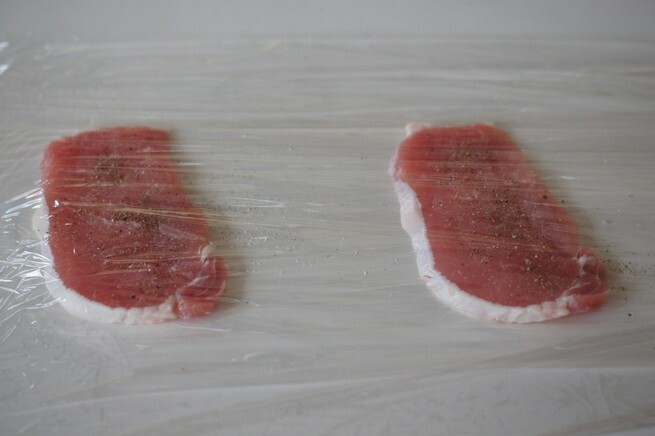 Cover the meat with a second layer of plastic wrap. 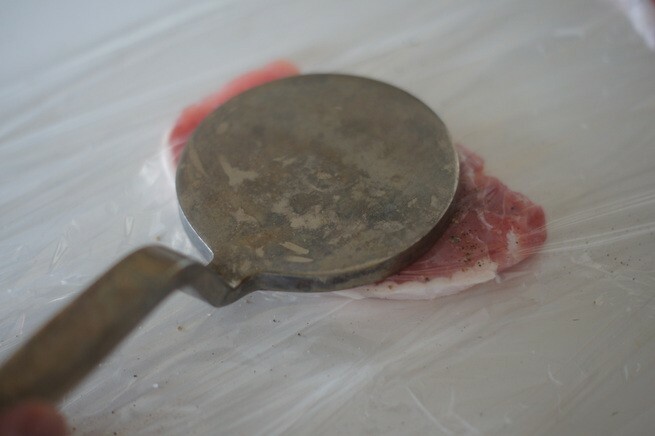 Pound the meat to about 1/8 inch thickness, using a meat pounder or heavy skillet or sauce pan. 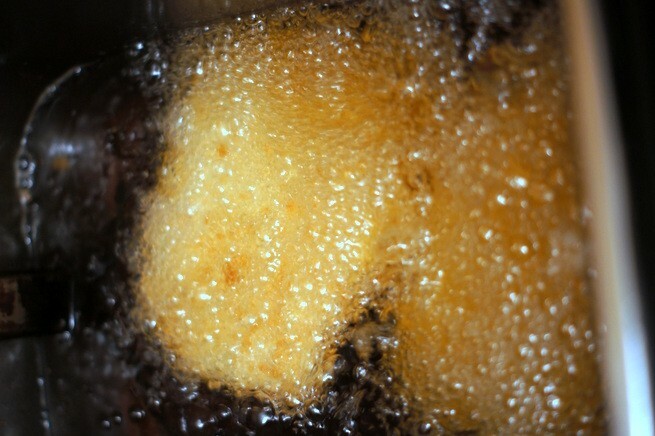 Heat oil in a deep fryer or large skillet to about 350-360 degrees F.
While the oil is heating, set up a work station for breading the meat. 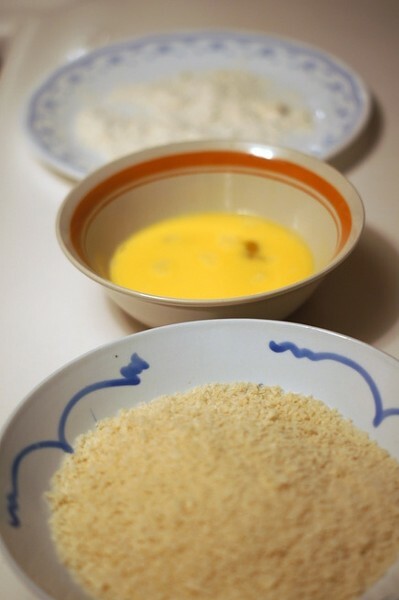 Place the flour on a plate or in a shallow bowl. 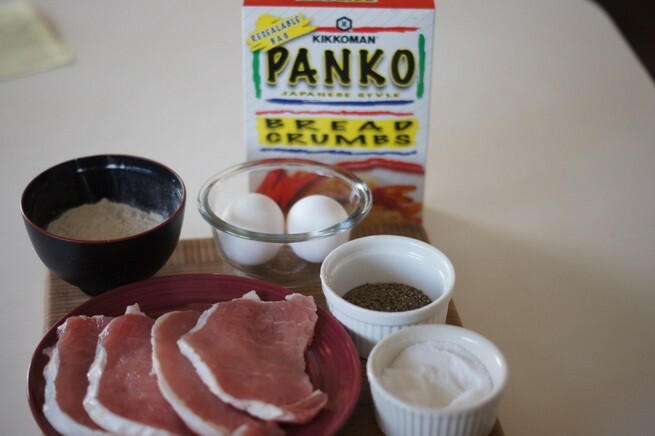 In another bowl, lightly beat the eggs with 1 Tbs. water. 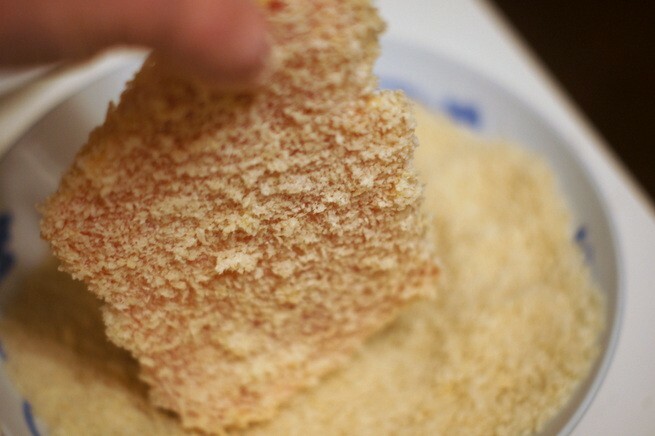 In a third shallow bowl, place the panko bread crumbs. 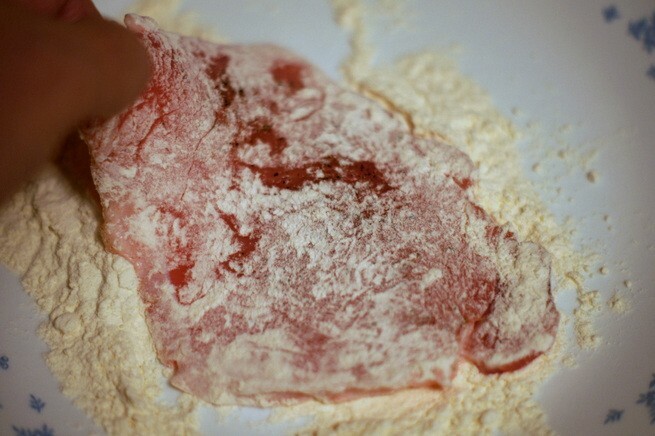 Begin by lightly flouring a piece of meat, shaking to remove excess flour. 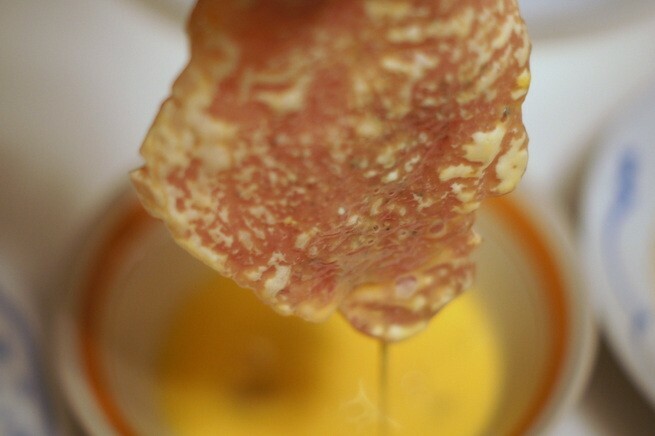 Next, dunk the meat into the egg wash, allowing the excess egg to drip back into the bowl. 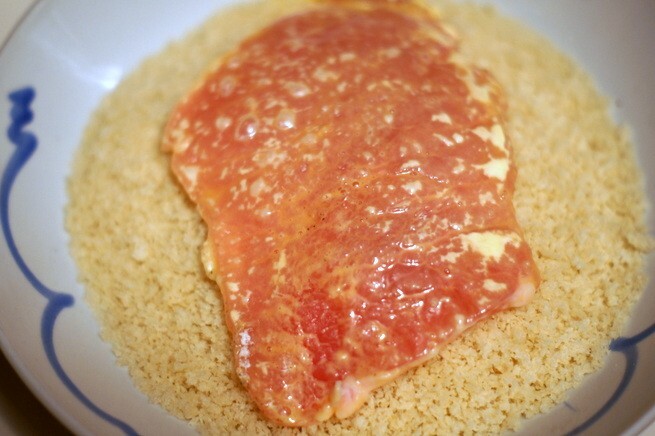 Finally, immerse the meat in the bread crumbs, pressing firmly with your fingers to help the crumbs to adhere. Repeat with the remaining pieces of meat and place the breaded meats on a platter. You can do this an hour or so in advance if you wish. 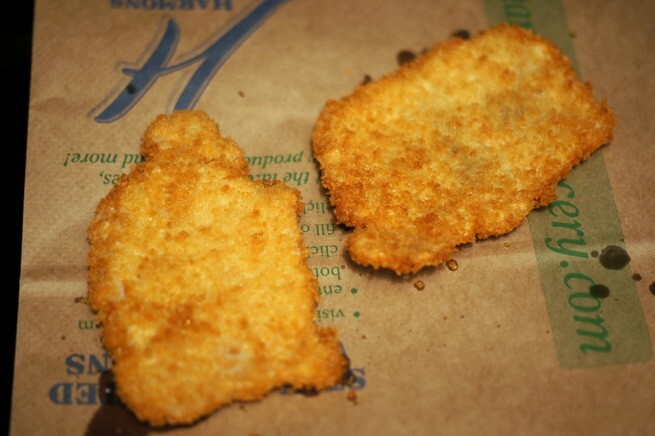 Just be sure to refrigerate the breaded meat until cooking time if you do. 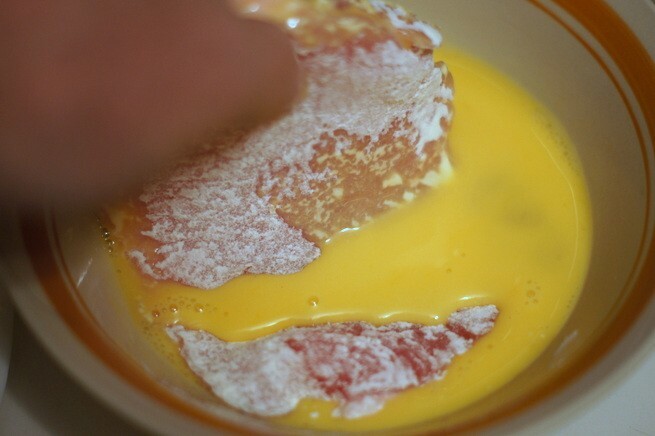 Gently place the breaded pork or veal pieces into the hot oil and fry for just a minute or two on each side, until the crust is golden brown. 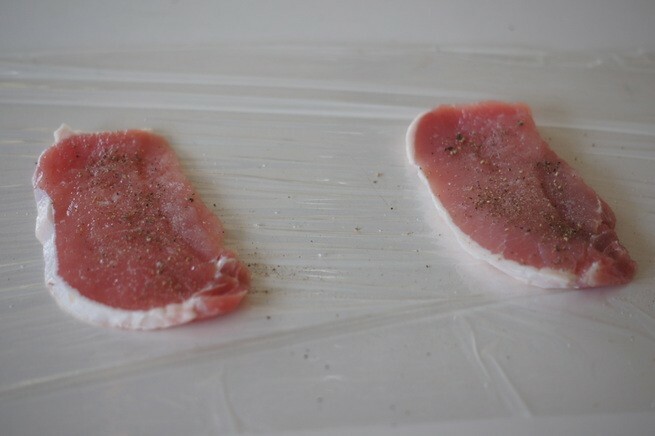 Drain the fried meats on paper towels or paper grocery bags. When asked "paper or plastic?" in grocery stores, I usually opt for paper, knowing that I can reuse the bags for soaking up oil when deep-frying foods (and, of course, it's better for the environment). 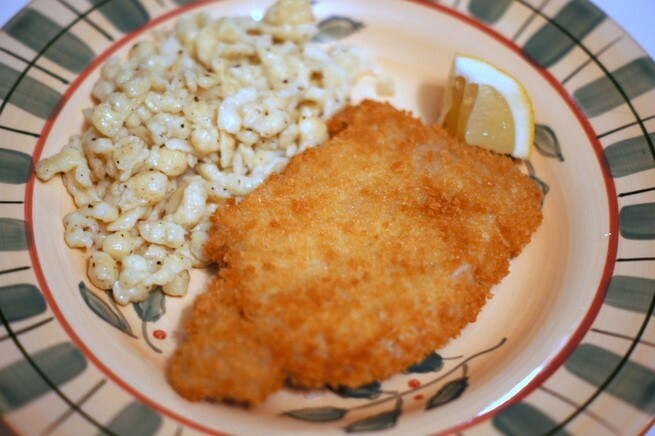 Wiener schnitzel is traditionally served with a spritz of lemon and side dishes of potatoes, spaetzle, sauerkraut and such.